Shattering all and any intrigues, we shall express our view at the very beginning, in order to depart from it. Today, we have all grounds to assert that Igor Mikhaylovich Danilov and Imam Mahdi (“the Guiding One”), the latter being the Messiah expected by the Muslim world, often mentioned in Prophet Muhammad’s sayings, and in some sources associated with Prophet Isa (Jesus) heralding the Judgement Day (Qiyamah) approach, are ONE and the same PERSON. It is known that Muslims in the whole world are impatiently waiting for Messiah / Saviour appointed by Allah. First of all, let’s briefly explain that the Hadith is a collection of traditions containing sayings and deeds of Prophet Muhammad, which traditions were transferred from generation to generation, often verbally, and thus reached nowadays with certain probable discrepancies and distortions. 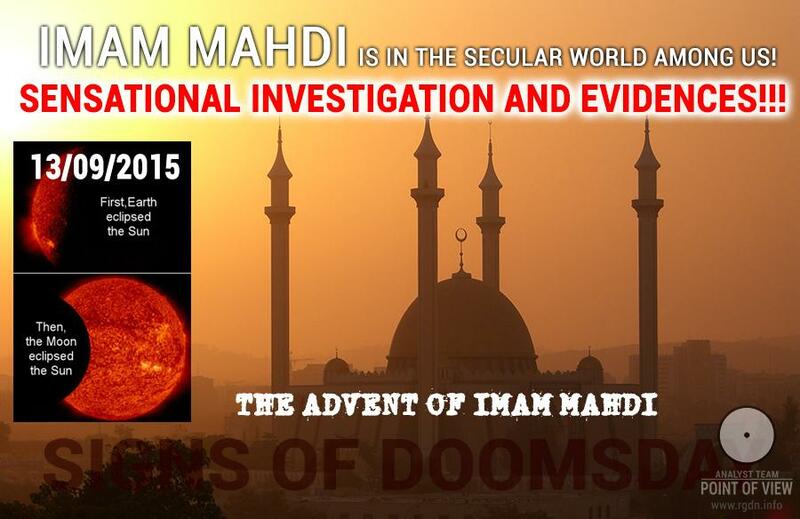 We shall refer to the Hadith we’ve discovered, relating to the momentous event of two eclipses within one (ninth) calendar month, signifying the coming or emergence of IM (Imam Mahdi). 1) A solar eclipse and a lunar eclipse will take place in the month of Ramadan. 2) These eclipses will take place with a time gap of 14 to 15 days. 3) Eclipses will recur two times. Let’s look into the aforesaid events. The Hadith refers to Ramadan, the ninth month of the Islamic calendar. 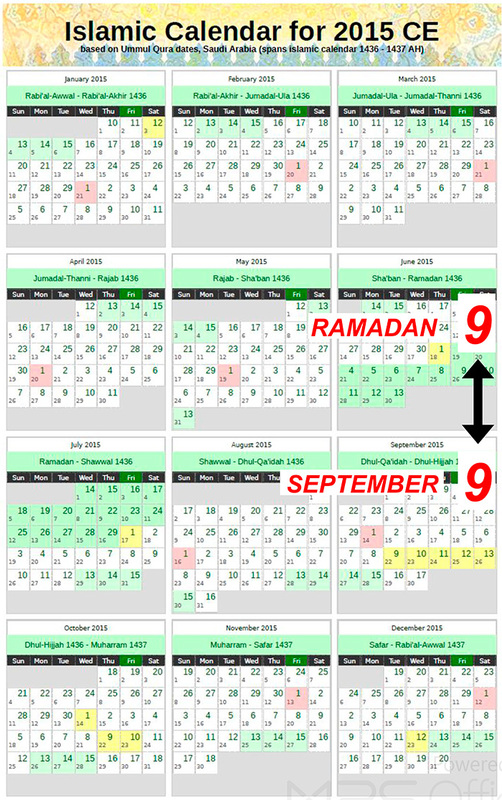 It is generally known that the Islamic calendar is a lunar calendar, therefore every year the sacred fasting month of Ramadan starts on totally different days (similar to “floating” calendar day of the Christian Easter). At that, in all fairness we should state the beginning of Ramadan mostly occurs in the middle of summer (June-August). However, let’s assume for a minute that Imam Mahdi is really Igor Danilov who has brought into the world the lost knowledge of the human nature and the Soul. At the turn of the millennium, Messiah has come to the secular world in a physical body of a Slav personality. Unfortunately, we have failed to find out His exact place of birth, although rumours say is was Russia. During the last decades He has been living in the territory of Ukraine. Based on the indisputable fact that in the current incarnation His personality is subject to the Gregorian calendar, which is traditionally applied by all Slavic nations, it would be totally logical to compare the Islamic and Gregorian calendars. In such case Ramadan as the ninth month corresponds to the ninth month of the Gregorian calendar, i.e. September. We hope dear Muslims will forgive such comparison, for we permit ourselves to do this not in order to create a false speculation, but for the great and righteous purpose of giving a hint to the multimillion assembly of true and faithful servants of Allah, who are impatiently waiting for the advent of Mahdi. Having followed such comparison, we’ve obtained the month of September of the year 2015. Yet, what is so special about September 2015? First and foremost, there were two eclipses that occurred with a time gap of 15 days: a solar eclipse and a lunar eclipse. When the initial version of this article in Russian was being composed, our planet entered “the corridor of eclipses” between 13 and 28 September, which astrologers called “reloading”. On 13 September 2015the double partial solar eclipse took place. On 28 September 2015the total lunar eclipse took place. Hence, nowadays we observe the astronomic manifestation of the prophecy coming true. According to Shiite theology, “Muhammad’s successor” is an impeccable human personality who not only governs the community with justice, but also has the power to preserve and interpret the Divine Law. Yet, the most interesting point is that He lives in secret, and so He is called “the Hidden Imam”. The Hadith says people see Him just like He sees people, but they don’t recognize Him. As far as we know, prior to September 2015 Igor Danilov lived in the secular world almost incognito, neither announcing himself in mass media, nor organizing any training groups, ashrams or spiritual development centres. it is significant that the global community obtained the Primordial Knowledge via books written by mysterious writer Anastasia Novykh who also lives in the world incognito. The Knowledge brought to the world is recounted in A. Novykh’s Sensei-I, II, III, IV, The Crossroads, Ezoosmos, Birds and a Stone, and the last, most fundamental book AllatRa. Moreover, there are reports composed by international groups of scientists and available on the internet for global community’s review: On the Problems and Consequences of Global Climate Change on Earth and thePRIMORDIAL ALLATRA PHYSICS. All information is publicly posted and can be read or downloaded from open sources. And, by the way, everything can be downloaded totally free of charge! At the end of August and two times in September Igor Danilov was first publicly interviewed by mass media, in other words, “he announced himself” (which complies with the Hadith). 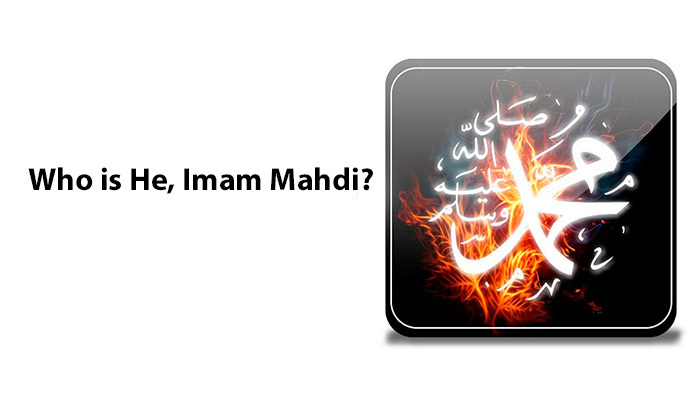 We also consider it necessary to mention a “fortuitous” fact of the coincidence between Mahdi’s initials and the initials of Igor Mikhaylovich Danilov: IM: Imam Mahdi – Igor Mikhaylovich. Mahdi will have the shirt of Prophet (peace and blessings of Allah be upon him), his sword, and his banner (flag). The banner has not been unfolded since the day the Prophet (peace and blessings of Allah be upon him) left the earth, and will not be unfolded until Mahdi comes. 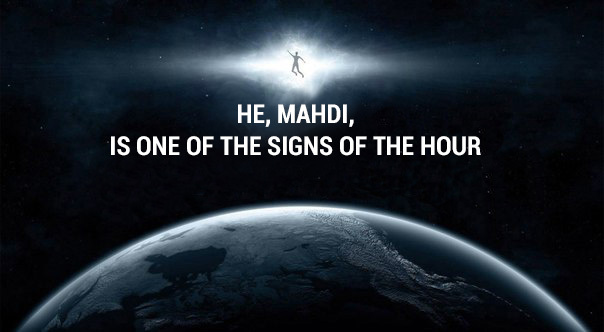 A cloud will be on his head, by which the one calling will summon: “This is Mahdi, Allah’s vicar, follow him!” When these words are pronounced, a hand will appear from the cloud and point at Mahdi, so that people swear allegiance to him. The year of Mahdi emergence will be odd. The unknown writer who recounted His Knowledge in her books is named Anastasia Novykh. We assume it’s a pseudonym. The name Anastasia is of Greek origin, coming from the word anastasi (resurrection). He will do same as the Prophet did, destroying rituals of the era of ignorance like He destroyed. 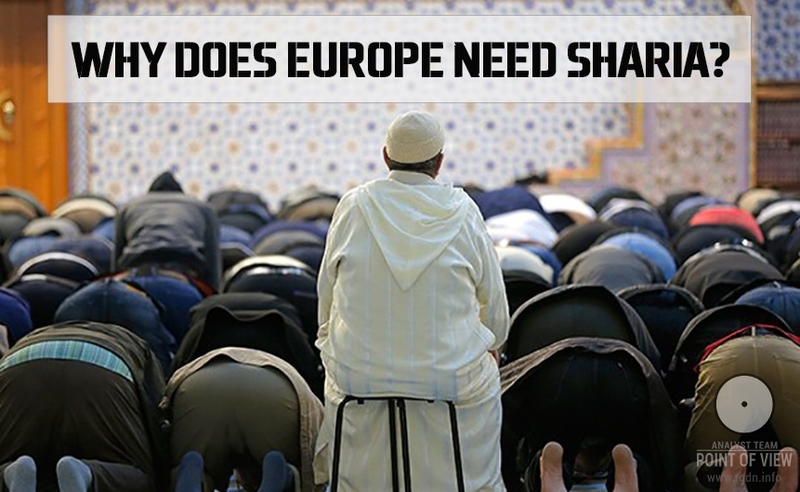 He will re-establish Islam. Mahdi will repair Mosques and reconstruct his Mecca. Mahdi will bring a new Order, a new Book, a new Legislation, and a new Tradition. Other religions, also abandoned and distorted, will be equally re-established in their original Truth and Purity by Mahdi. Mahdi’s followers will be dispersed in different parts of the world. They will be endowed with special miraculous powers, the most special of which will be fusion of their feelings with Imam. For you to understand what is meant here, we recommend you to watch interview No. 2 The Meaning of Life: Immortality, which has been viewed over 100,000 times on YouTube as of this article release. 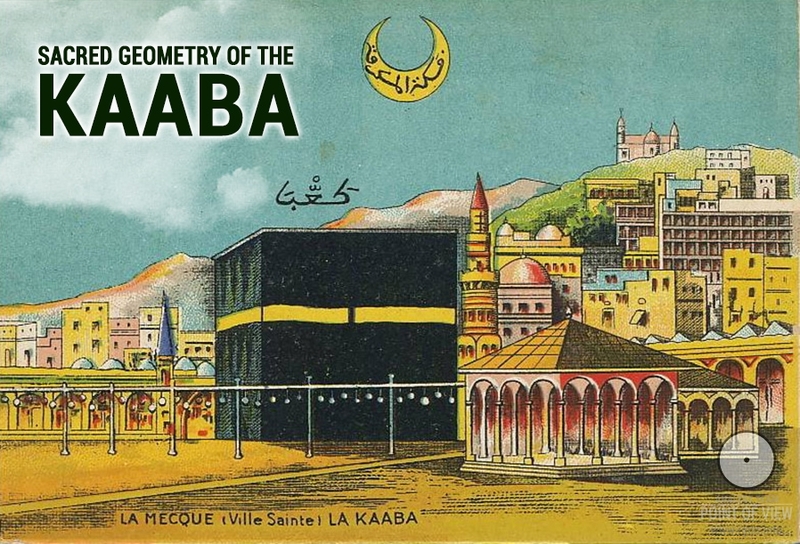 In the year when pilgrims’ blood is shed in the sacred Kaaba, Mahdi will emerge. On 11 September 2015, a construction crane fell on Masjid al-Haram in Mecca and killed people. In conclusion of the article, we would like to recommend you once again to watch the three epoch-making interviews (A Frank Dialogue about the Most Important, The Meaning of Life: Immortality, and UNITY) and endeavour to feel, EXACTLY TO FEEL: Who is in front of us on the other side of the screen? It’s up to everyone whether to believe or not, and no one is entitled to deprive a person of his/her own choice. 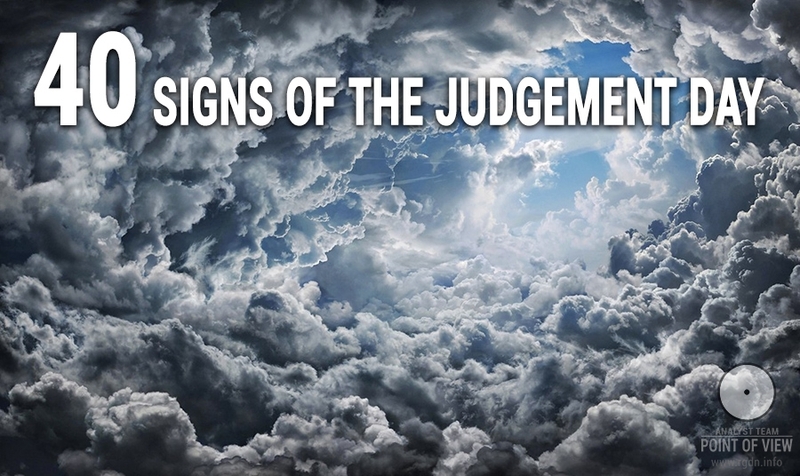 At that, those who are truly impatiently waiting and ready to hear Mahdi’s call, already today can become aware that the Judgement Day indicated in prophecies has come. Whether Imam Mandi will lead us to the bright future, return what is lost and restore Islam in its initial purity, will depend on all of us, dear readers, brothers and sisters. In the name of Allah, the Most Gracious, the Most Merciful, who has sent His sign to us, those who write these words, we address all Muslims of the world: please, hear His voice!